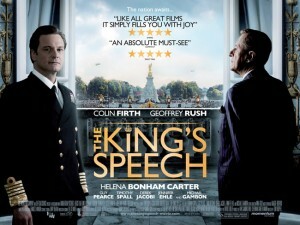 The King’s Speech is highly favored this year to sweep the Oscars. Colin Firth’s performance has been heralded time and time again as being Oscar-worthy. Jesse Eisenberg is too new to win in the category and Jeff Bridges won last year. This will be the year that Mr. Firth wins his first Oscar. This category is essentially between Christian Bale and Geoffrey Rush, the others showed strong performances, but not nearly as great at these two. Geoffrey Rush may win, but my money is on Christian Bale. Bale has given a number of Oscar worthy performances in his relatively short career and since Mr. Rush already has an Oscar, I think it will be Christian Bale. This is one category that I think is pretty much already decided. Natalie Portman has the most buzz around her respective performance and while the other actresses are more than worthy, The Black Swan was also the most high profile of the films. Conventional thinking would say that Hailee Steinfeld would win this Oscar as this is the category that seems to like to honor young, up and coming starlets. But I would go as far to say that this award is more about honoring the underdog than age. Melissa Leo has been a working actor for 20+ years and I think the Academy will see her superior performance acknowledged with an Oscar. Toy Story 3 will almost certainly win the Oscar for Animated Feature. It was better than Dragon, and will win over the more obscure Illusionist. I think this is one category is still up in the air. Alice in Wonderland has the most catching visuals, but its overall critical reception could hurt it from being known as an “Oscar winning film”. In my opinion, The King’s Speech or Inception could also easily win, but for some reason I think Wonderland will take home the statue. All of these films would be more than deserving of the award, but because True Grit will probably get snubbed in other categories, I think it will win this one. The cinematographer has also been nominated 9 times for this category and never won, so I guess you could say he’s due. Costume Design tends to love elaborate period pieces, so with that being said; I think The King’s Speech will easily take the Oscar. When people talk about The King’s Speech, these are the categories they’re referring to. Directing is one of the “top” categories that hold the most bragging rights and with all the buzz around The King’s Speech, I think it will win. I haven’t seen all of these movies, so this is more of a guess. But from what I understand, this category is pretty much between Inside Job and Restrepo. Inside Job is about Wall Street greed and Restrepo follows a platoon of soldiers in Afghanistan. I think this pick will boil down to what audiences care more about…that being the economy. Film Editing is one of those categories that most people don’t really think about when they’re watching a movie. But The Social Network uses its edits so well that it manages to incorporate so much dialogue, on screen events and different locations that I think it will win. Because Biutiful is the most high profile movie on this list and that it stars an Oscar winning actor, it will probably win best Foreign Language Film. It is also an excellent film that relates well to American audiences and our love affair with the psychology of criminals. Makeup is often a tossup that goes to the most high profile movie nominated. While The Wolfman was more high profile than The Way Back, it wasn’t nearly as good of a movie. The makeup in both is so different that it’s like comparing apples to oranges, but because The Way Back used makeup in a very visceral way and it is arguably the best movie overall on the list, I think it will win. I think The Academy will want to show some love to The Social Network on this one. It will also get some “cool” points by having Trent Reznor on stage. But even objectively, the score of The Social Network was amazingly good. It managed to relate to the story, identify with the time period and be ear catching all at the same time. Randy Newman became almost as popular as Buzz and Woody with the first Toy Story and considering his panache for creating extremely emotional songs, I think We Belong Together is the clear winner in this category. If you, the reader have enough interest in movies to look at Oscar picks, you’re probably aware that The King’s Speech is highly favored in this category. But the question is…why? The King’s Speech has the right combination of elements that The Academy loves to reward with their sought after golden statue. The King’s Speech is an English period biopic with elements of humor that showcases the talents of several Oscar worthy actors. Not to mention the technical aspects of this film are all superb as well. This pick may be a bit of wishful thinking, but I’m calling Tron for the upset. While Inception is favored in this category, I think the use of sound editing in the battle scenes of Tron alone make it worth this award. Because I believe Tron will win in Sound Editing, I’m giving Sound Mixing to Inception. Its atmosphere of sound makes the fight scenes and dream states come alive with visceral reality. Much like the viewers at home, I think The Academy will see Inception’s folding city in their mind’s eye as they cast their ballots for Visual Effects. Few of its competitors can hold a candle to Inception’s countless examples of surreal anti-gravity eye candy. Before it was released, many thought The Social Network was just a flailing attempt to capitalize on the Facebook phenomenon. What audiences got was a captivating story that infused razor sharp dialogue and a relentless plot that connected with audiences in a way that has since claimed to have captured a generation. Whenever a film is favored to win best picture it becomes highly likely that it will also win for writing. While based on a true story, The King’s Speech is a touching original screenplay that captures the audiences’ compassion for the underdog. I figured the Shorts don’t really count since nobody watches them. It’s not like you can run out to your local theater or video store to check them out. But if you’re still curious about what’s up, here are the nominees. What do you think of my picks? Who do you think will win? Let us know in the comments section below.